The set has 40 cards, making it one of the most comprehensive looks at the franchise on cardboard this year. The checklist includes 25 players, seven spots for coaching staff, the team's mascot and seven sponsor cards that don't actually have any players. Sets are distributed in a box similar to what you'd get a deck of playing cards in. 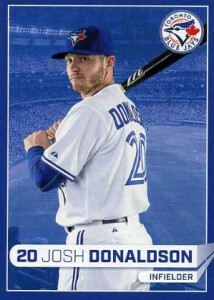 Cards have a posed portrait of players on the front cast against a blue backdrop of the Rogers Centre, the team's home stadium. 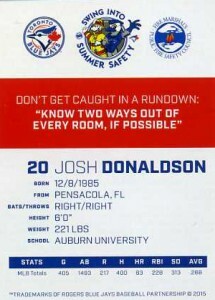 Backs are highlighted by a safety tip but also include vitals and career stats. 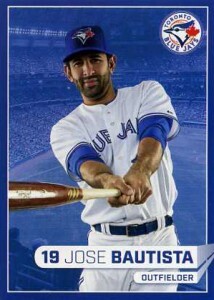 The 2015 Toronto Blue Jays Fire Safety set was distributed two ways. The first was as a stadium giveaway at the Toronto game on June 10 versus the Miami Marlins. A total of 25,000 sets were handed out to kids in attendance. Cards were also handed out by fire departments in the Greater Toronto Area and other parts of Ontario. 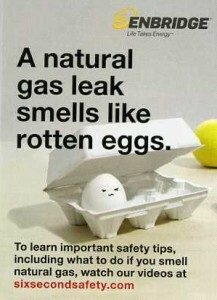 "A Natural Gas Leak Smells Like Rotten Eggs." "Cover Your Fire Safety Bases!" "Is Your Home Carbon Monoxide Safe?" "Parents! Keep Your Family 'Safe at Home!" HARD TO KNOW HOW MANY ARE PRODUCED YEARLY ALTHOUGH IT COULD BE CLOSE TO 50,000+ SETS BASED ON HOW MANY ARE DISTRIBUTED OUTSIDE TORONTO.